Long time, no see! Yep, hello, it’s Emily! How are ya? It’s crazy to pull up my blog and see that my last post was April 23rd, 2018. It’s crazy to look back and think about how much my life has changed, and how much I’ve accomplished since then. Every now and then I get a recurring sense of guilt for leaving this blog in a state of uncertainty and mysterious disappearance. I’ve been missing blogging and reading more now than ever, which is why I decided to come back and write this post. Let’s take it all the way back to Spring of 2018. As you may know, I am a graphic design student at RISD, with an incredibly taxing workload. In Spring of 2018, I was still a Sophomore, but I was also a Sophomore on the incredibly stressful internship hunt. Every ounce of my being went into my design work, perfecting it and trying to develop a style and direction for my making. Of course, this meant books and blogging (what I considered to be my hobbies) had to take a backseat. While this “hobby” designation I would later realize was not the right designation, my hard work paid off, and I got an internship position in NYC for the summer. Life is still crazy, but about to be crazier! I’m back for another Week in Review post! Two weeks in a row? Let’s keep this happening! As you could probably guess by the title of this post, my life is continuing to be crazy. With what, I can’t quite pinpoint. School, art, errands, the normal day to day things I suppose. I had to do a reality check when I realized that I have just over 100 days until I graduate high school, and just over 150 until I move to college. The days are going by so fast! I didn’t get as much reading done as I did last week, but I did read 2 books (as of when I’m writing this post Saturday morning). I finished The Glittering Court by Richelle Mead and All the Feels by Danika Stone. I enjoyed both of them, but they weren’t anything special for me. My review for The Glittering Court will be up early next week, and my review for All the Feels will be on Andye’s blog closer to the release date in June! I’m just starting Girl in the Blue Coat by Monica Hesse, which I’m SO excited for. This weekend I’m planning on getting lots of reading done, as I have…wait for it…NO HOMEWORK! I can’t believe I can say that, but it’s true and I’m taking advantage of it! Therefore I’m hoping to read a couple more April releases (I’ve got plenty to choose from): Tell the Wind and Fire by Sarah Rees Brennan, No Love Allowed by Kate Evangelista, A Fierce and Subtle Poison by Samantha Mabry, or Two Summers by Aimee Friedman. Let me know which one you think I should read after I’ve finished Girl in the Blue Coat! There’s a little bit of everything between those four books. It’s been a little over a month since I’ve written one of these posts. What?! But in keeping with my 2016 resolutions, I’m not too worried about it. I said I wouldn’t fault myself for not having a schedule and only posting when I want to, and I’ve kept that so far! Yay for me! I never keep new year’s resolutions, so this is a big deal for me. Anyway, life has been super busy, as usual. But, unlike usual, I’ve been reading more during the week. Normally I only get around to reading starting Friday afternoon and through the weekend. The past two week’s Wednesdays have been the magic day! Two weeks ago I read In Real Life by Jessica Love in one sitting, and this past week I read Rebel of the Sands by Alwyn Hamilton in almost one sitting. Crazy! And in between, I managed to read Into the Dim by Janet B. Taylor during the weekend. It may not seem like a lot for some, but for a high school senior, that’s a ton. P.S., if you’re looking for reviews of In Real Life and Rebel of the Sands, they’ll be posting soon! March 10th and March 7th, respectively. I may have mentioned this before, but I’m taking AP Drawing this year, and it’s crunch time. Any of my free time during the day I’ve been spending in the art room. I’m a super slow worker so this is proving to be quite the challenge. To the right is a little sneak peek at what I’m currently working on! So that’s pretty much been life lately! I’ve accumulated quite a bunch of books courtesy of the lovely publishers, and Andye. 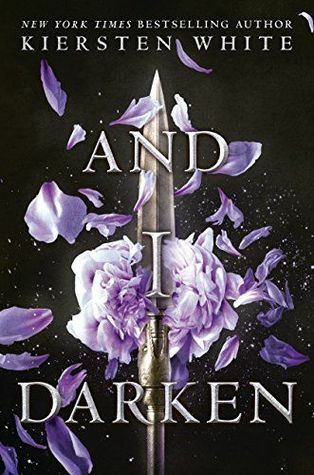 I was approved for And I Darken by Kiersten White on NetGalley (Thanks Random House!). I’m so flipping excited for this monster of a book! I’ve read some of Kiersten White’s other books and loved, so this was a must-request. 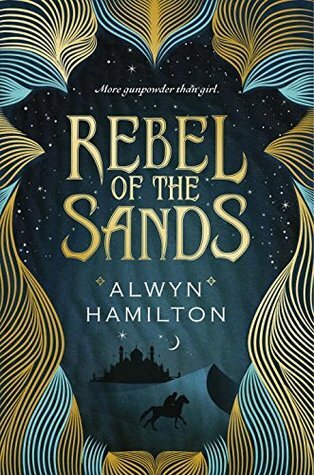 I requested Rebel of the Sands by Alwyn Hamilton and The Glittering Court by Richelle Mead from Penguin through their First to Read program (Thanks!). 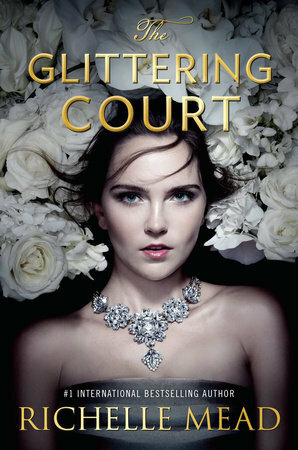 As I already mention, I’ve already read Rebel of the Sands, and I’m now currently reading The Glittering Court. 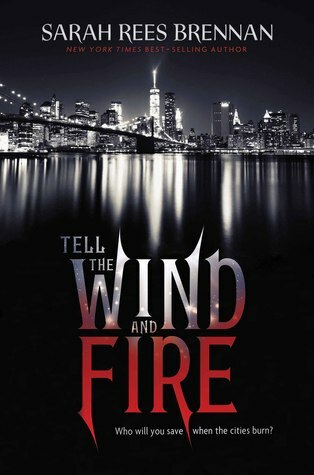 I forgot to mention in my last WiR that I got Tell the Wind and Fire by Sarah Rees Brennan from HMH (Thank you!). 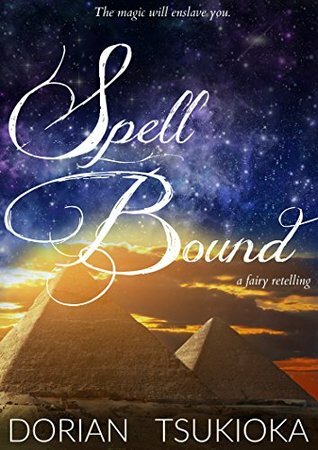 I was approached by Dorian Tsukioka to review another of her fairytale retelling novellas, Spell Bound. I read and enjoyed her first, and was intrigued by the synopsis of this one, so many thanks to her! As physical copies go, I received Two Summers by Aimee Friedman from Scholastic, unsolicited (Thanks!). It looks like a really fun summer read, and I’m excited to get around to it! Andye sent me All the Feels by Danika Stone and A Week of Mondays by Jessica Brody (Thank you bunches, as always!). Both of these contemporaries look right up my alley, so I’m very excited! The blogosphere has been filled to the brim with incredible posts and events lately, so I thought I’d share some of my favorites with you. Sorry if you’ve seen these already, they’re a bit on the older side now. Val @ The Innocent Smiley recapped the WWII event that I participated in, hosted by herself and Ely @ Tea and Titles. Alexa @ Alexa Loves Books suggests books for each song from Grease Live! Cait @ Paper Fury asks why we love reading painful books. Aila @ One Way or An Author talks about 5 popular descriptions of characters in YA. Alise @ Readers in Wonderland shared something I know well — reader’s guilt. Jolien @ The Fictional Reader talks spoiler disclaimers. Here at Books & Cleverness I’ve been posting quite a bit too! I shared YA Publisher sites that prove publishers are AH-MAZING. I questioned whether novellas are an added bonus or just unneeded. I reviewed and loved Blackhearts, Titans, and Into the Dim. Wow, this turned out to be a pretty long post! But it’s so nice to be catching up with everyone again. Look for lots more reviews to come soon! I was a nervous wreck leading up to finding out, and needless to say I was crying hysterically while reading the email aloud to my parents. I am extremely proud of myself for being accepted. I worked my bum off and I think that could show in my application and portfolio. So now I’m celebrating and planning to spend my break relaxing with lots of books! I’ve got a bunch of review copies that have piled up — some pretty exciting ones! Keep an eye out on my Goodreads for sneaks at my thoughts on those. Talk to you guys very soon! Emily here! Surprise! I took quite the hiatus without really letting anyone know. I wasn’t really sure I was going to go full-out hiatus, myself, to be honest. But it turns out I did. I feel like all I do in update posts anymore is apologize, so I’m going to make this one short and sweet and get on with updating you on my life, etc. I applied to college!! I can’t believe that I actually did it. The time snuck up on me, and before I knew it I was an official college applicant. I’ll find out if I get in mid-December! Senior year is going smoothly, and I’m loving the classes I’m taking. If you’re friends with me on Goodreads you’ll have seen the books I’ve been reading for my AP Lit class: So far Pride & Prejudice, The Admirable Crichton and now on to Pygmalion. Between those books and getting my portfolio ready for college apps I haven’t had time to read much (or blog, obviously). I’m so behind in the world of YA lit! Seriously, if you’ve heard of any upcoming releases, publishing news, ARCs I should be pining for etc, PLEASE PLEASE PLEASE SHARE!! I’m desperate to be back in the loop! Well, I’m officially back for good this time. I should have a review up of Famous in Love by Rebecca Serle next week. I read it a while ago now, but fingers crossed I’ll remember enough to write a good review! As soon as I finish this post I’m going to be starting These Shallow Graves by Jennifer Donnelly, which is releasing next week. It sounds very creepy and perfect for the fall/Halloween season. Again, I’d love to hear what’s been going on in the blogging and YA community! PLEASE SHARE! I love you all, and thanks for sticking with me!